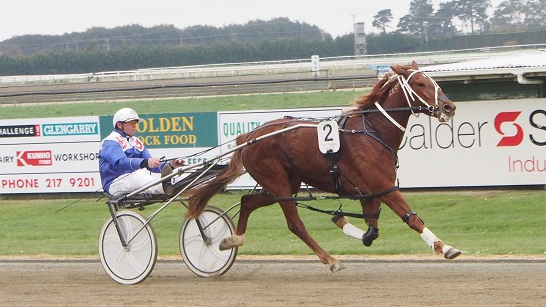 PANSPACIFICFLIGHT filly Arden’s Choice has joined the Ardmore stable of Barry Purdon and won’t be returning to the South Island until the big fillies races at Addington in the autumn. Arden’s Choice ran second to former All Stars stablemate Golden Goddess in the $80,000 Group II Peter Breckon Memorial Ladyship Stakes at Alexandra Park last month before breaking in the running in the Alabar Sires’ Stakes Final on 31 December. Her next big target is the Great Northern Oaks at Alexandra Park on 04 March. By staying in the north she’ll do less travelling and also dodge Golden Goddess in the northern heats of the Nevele R Fillies Series. The first of them is at Auckland on 12 February. All going well, Arden’s Choice will contest the fillies’ final in Christchurch on 14 May and the New Zealand Oaks on 20 May before returning to Cambridge for the Jewels at Queens Birthday Weekend. NOVENA ROSE, one of the most impressive qualifiers in Southland this season when trained at Macca Lodge by Tony Stratford, hasn’t taken long to make an impression in Australia. Sold for big money in December, the American Ideal three-year-old has won her last two starts in Victoria. On 31 December she led all the way over 1720 metres at Melton, posting a mile rate of 1:55 and running her last half in 55.8. And she followed that up with a win over 2150 metres at Bendigo on 06 January, sitting parked out for the last lap and rating 1:59.9. The new connections include Victorian harness racing enthusiast Harvey Kaplan and big-time NZ owner Trevor Casey (Stent, Waikiki Beach, Lazarus). Novena Rose is trained by Andy Gath and has been driven in her two wins by his wife Kate. Schwartz Denario extended sire Panspacificflight’s good record in Australia when she won at her second start across the Tasman on 07 January. The four-year-old mare, who won once for Southland trainer Tony Barron before being exported, led all the way over 1980 metres at Tamworth in New South Wales. 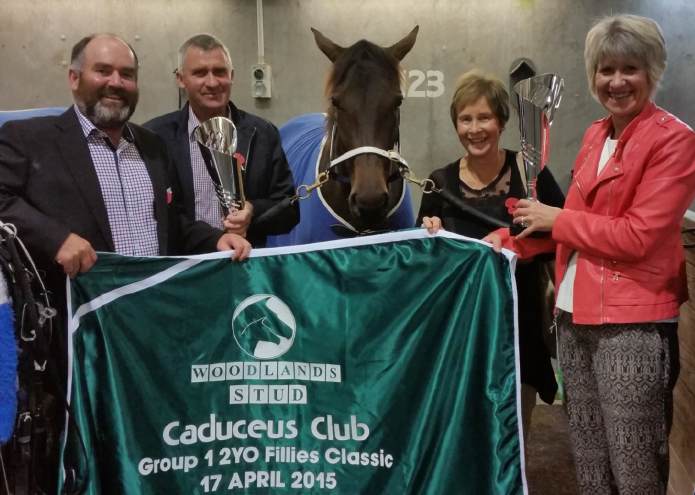 She was a hot favourite and pulled away to win by nine metres. Schwartz Denario is the fourth Australian winner from Panspacificflight’s first New Zealand crop. The others have been Glenisla (seven wins), Last Flight In (six wins, including one for Southland trainer Clark Barron) and Sir Mac’s Man (six wins). Wattlebank Flyer, who won once for Canterbury trainer Tim Trathen before being exported, could be the next to join that list. He was third at Albion Park in Brisbane on 08 January.